The Internal Security Forces, Intelligence Branch has arrested a Baath party cell which is allegedly involved in kidnaping Syrian opposition members and handing them over to the regime of president Bashar al Assad in Damascus, according to a Friday report by al-Mustaqbal daily. The group, which is headed by Majed Mansour, a Baath Party official in the West Bekaa had been recently abducting Syrian opposition members and smuggling them to Syria to be executed later on, the source said. The official, who was not identified, told al-Mustaqbal that the Intelligence Branch carried out coordinated raids on Thursday to arrest the cell’s members. Mansour was able to escape but his brothers Khaled, Alam and Mansour were arrested, the official said. The ISF also apprehended Syrian Mahmoud Hassan and seized arms from the house of the cell leader. 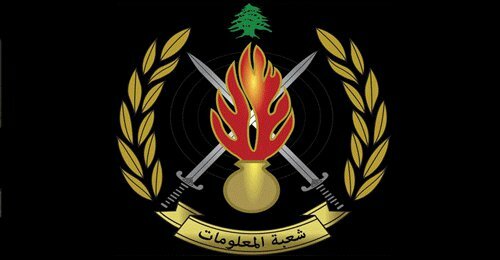 Other network members were arrested during raids in several Lebanese regions. So far, seven suspects are in custody, the official said, adding that security forces are pursuing three others. But LBCI said the number of arrested suspects rose to nine on Friday. One of them was seized after he was injured during a raid carried out by the ISF in the West Bekaa, it added. During nearly five decades in power, Syria’s Baath Party has evolved from an Arab nationalist movement into a vast organization that has infiltrated every aspect of public life. In 1973, the Syrian constitution was amended to give the Baath Party unique status as the “leader of the state and society”, ushering it into all areas of public life. It is not yet clear whether this cell was behind the kidnapping of Shibli al-Aysami( born 5 February 1925 in As-Suwayda, Syria) who was kidnapped in May 2011 while visiting his daughter who is married to a Lebanese man in Aley , Mount Lebanon . His family accused the Syrian government of Bashar al-Assad for the kidnapping. In 1947 together with Michel Aflaq he became a founding member of the Arab Socialist Ba’ath Party and from 1963 to 1964 he held different minister posts in the Syrian government. In 1964 he was elected as General Secretary of the Syrian Regional Command of the Ba’ath Party and in 1965 he became Vice President of Syria under Amin al-Hafiz. After the 1966 Syrian coup d’état by Hafez al-Assad, the father of the current Syrian president he was sentenced to death and fled to Iraq where in 1974 the Iraqi Branch of the Ba’ath Party installed a rival National Command of the Ba’ath Party with Aflaq as General Secretary and al-Aysami as his deputy (until 1979). 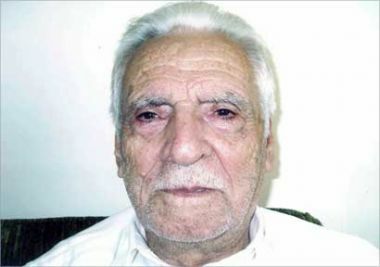 In 1982 al-Hafiz and al-Aysami, together with other Islamist, nationalist and left opposition groups founded the Iraqi-backed National Alliance for the Liberation of Syria but in 1992 al-Aysami retired from political life. He stood in Iraq until 2003 and fled to Egypt and USA . The silly old fart was into everything … at least up to his retirement. But he found it wasn’t safe to return when ASSad wants to settle a score (even IF one has taken a Baath) … and I suppose Iran-a-Hezz isn’t so friendly these days since they didn’t ask to get him back. Oh well. Nice if someone has finally picked up the roaming Hit-Squad.